PC Productivity : There are many ways in which you can use the keyboard to speed up your computer usage and overall productivity, and here’s a video with a nice tip on how to easily and quickly increase the size of the icons and file & folder names in Windows Explorer. Android Phones : Most have heard of Android phones, the latest smartphones quickly taking over the mobile device market around the world, but if you haven’t, we’d like to introduce you to everything "Android"
Android phones are smartphones using Google’s mobile operating system, and they come from a variety of manufacturers like HTC, Samsung, LG, Motorola and more. 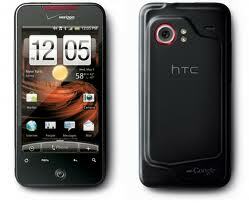 The latest Android phones (HTC Incredible, HTC Evo, and the Droid 2) not only match up to the latest iPhone 4 in almost every way, but exceeds the iPhone’s features in several other ways. From seven homescreens to web app syncing to widgets, there are many reasons to consider an Android phone as your mobile device next purchase to stay connected in the best way possible. Android phones are available on all networks in the US , and most around the world.